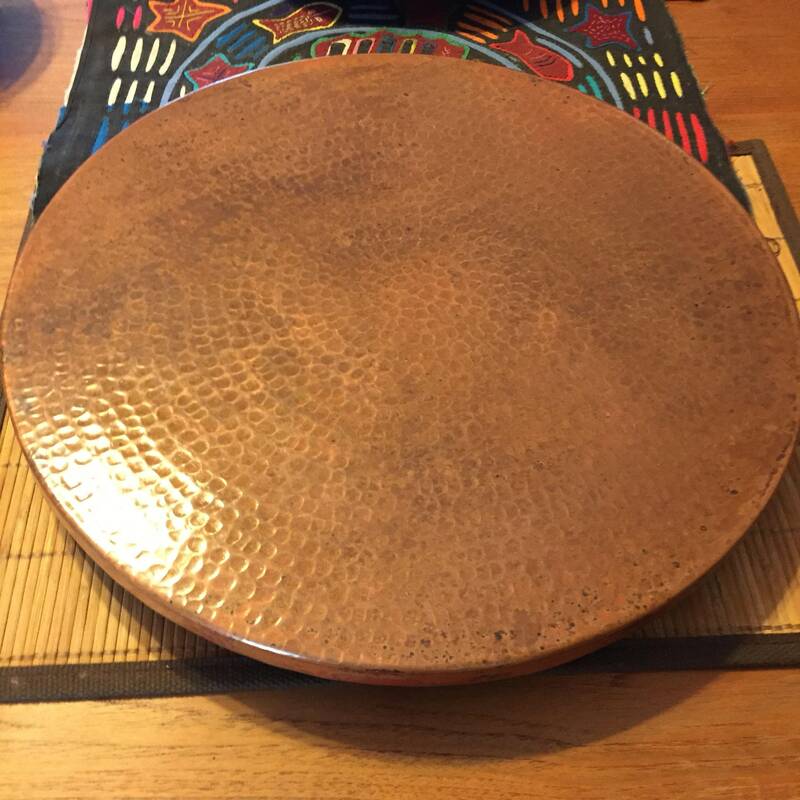 Hammered Copper Lazy Susan (16" diameter). 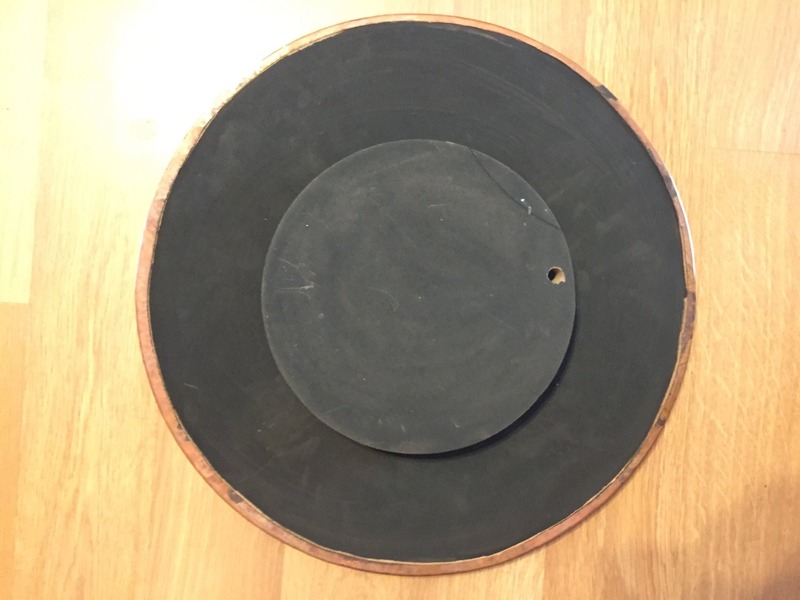 Handcrafted with a pure copper top and wood spinning turntable base. Quality craftsmanship. 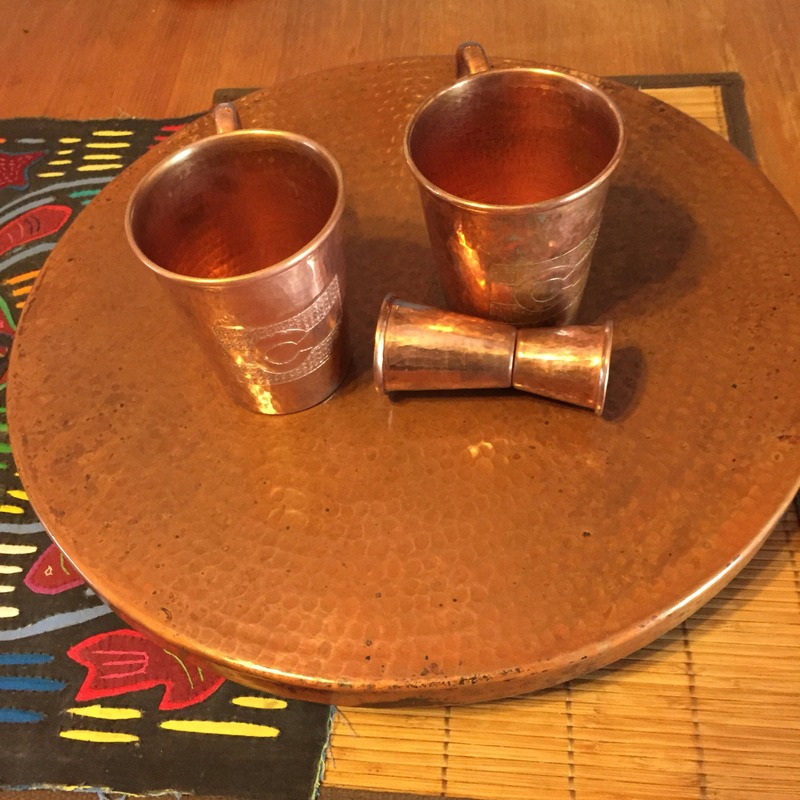 This beautiful rotating serving tray will look great in any kitchen, dining room, or bar. Perfect for drinks or dishes. 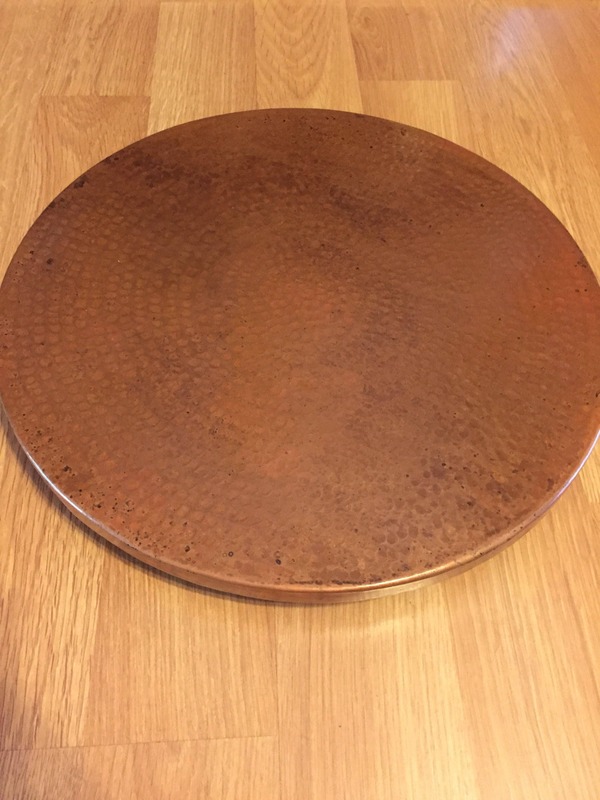 The copper top is made from pure hammered copper with a beautiful polished natural finish. 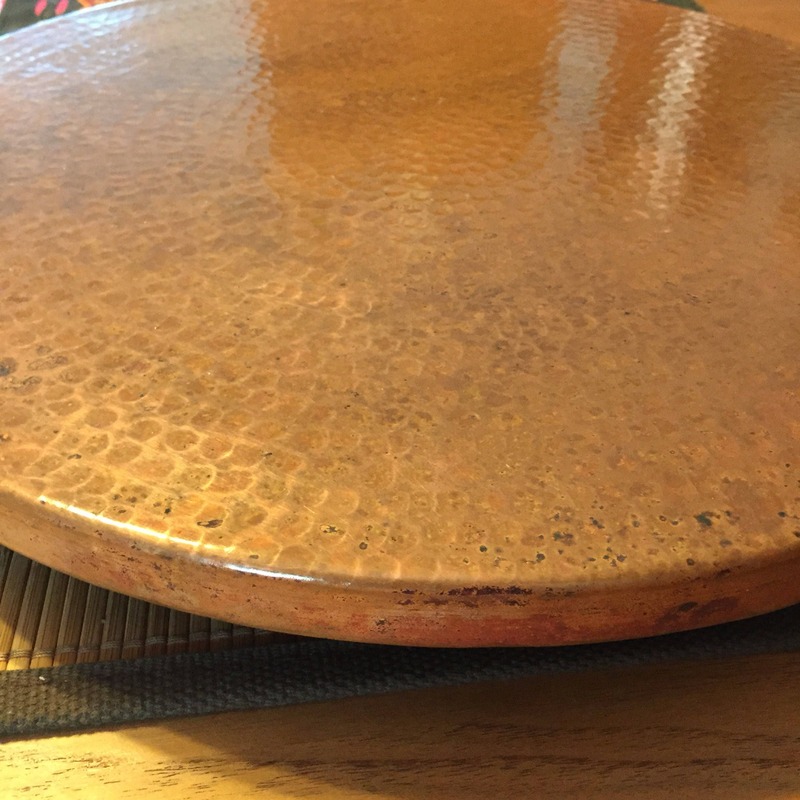 Durable copper top will last a long time. Love this!!! Very well made and absolutely gorgeous!! 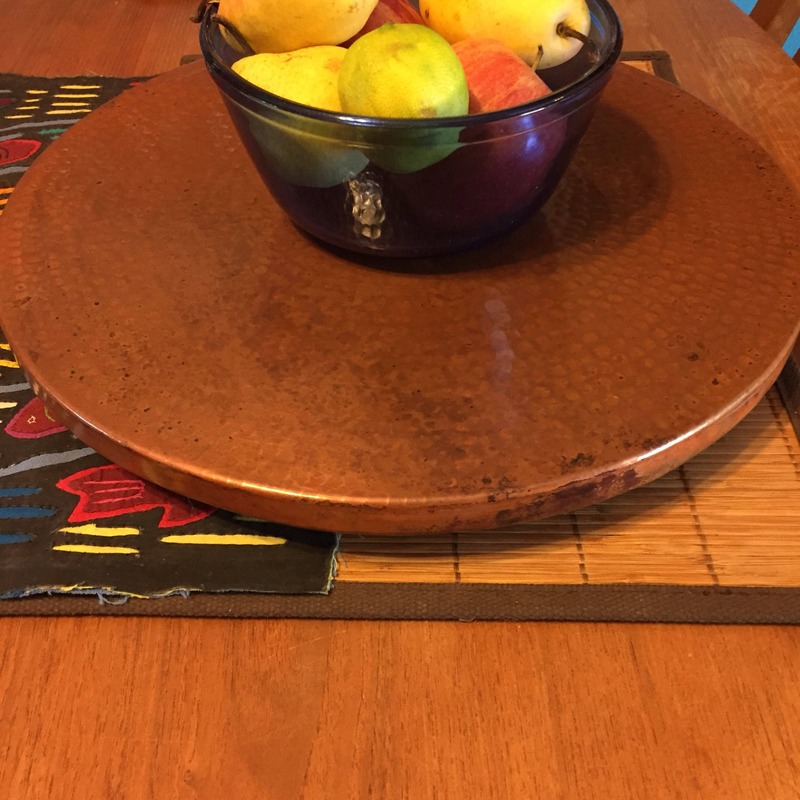 The lazy susan is beautifully made - we love it! Prompt shipping, well packed and the seller is a pleasure to deal with. 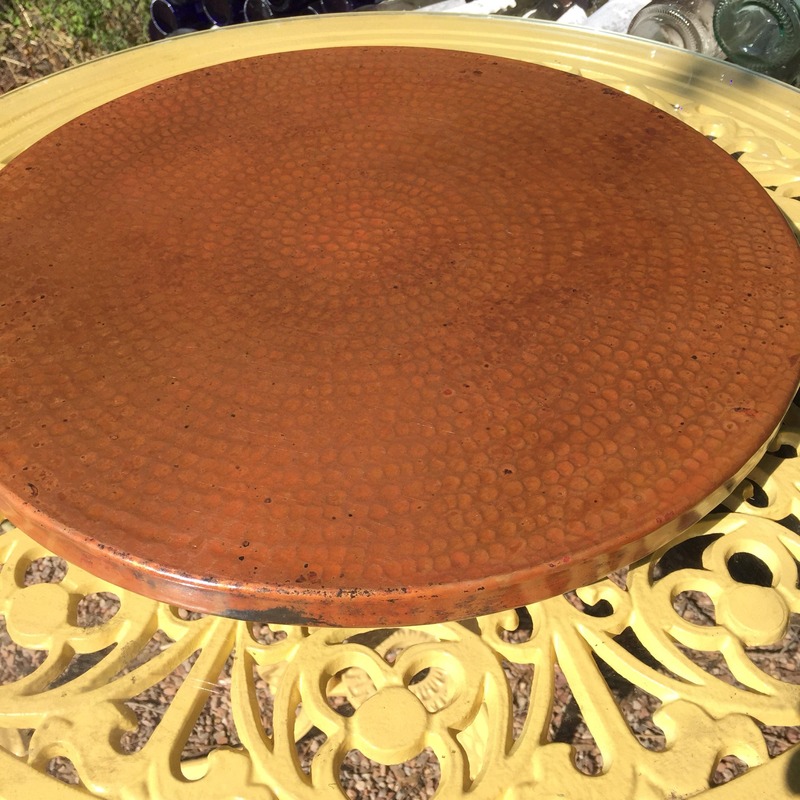 The hammered copper lazy Susan is beautiful! I sew with my granddaughters at a round table and plan to use this to help us share sewing tools more easily and with style! I appreciate the careful and extensive packaging that protected the copper during shipping. It would have been almost impossible to arrive damaged. Thank you, LunAzul Gallery!